Looking For Komodo Tours Indonesia? Here is the way as long as you are looking for Komodo tours Indonesia. Here also you can read the travel news or how to organize Indonesia tours to Komodo, Flores, Bali and travel to other islands in Indonesia. This is a way for you to see Komodo dragon, wild life, wonder of corals or colorful of fishes. As long as you have plan to make tours to Komodo National Park, so please reach us to get fully information. 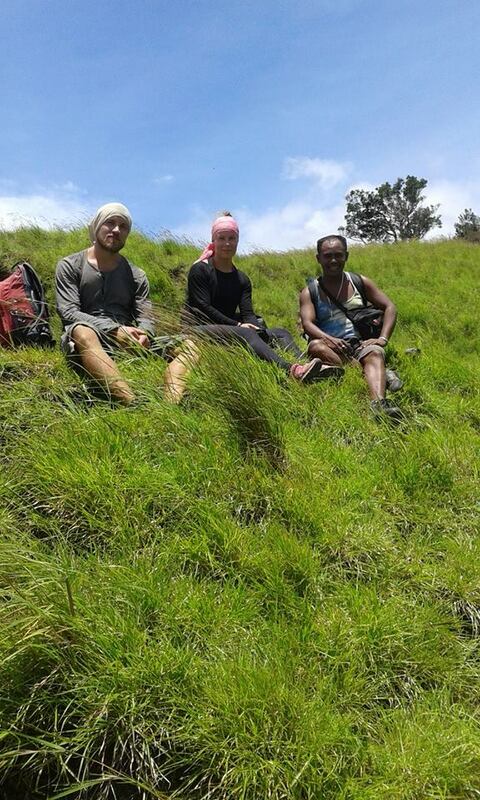 Maybe you want to make special tours, so we can arrange with Eco tours Komodo. We are a leading travel company of Flores Island arrange all kind of Komodo tours in Indonesia. We are local travel company of Komodo tours base in Labuan Bajo town, west part of Flores Island. Since 2010, we focus doing travel business till now. So far we have succeeded handle Komodo tours either for domestic or overseas tourists. However Komodo tours mostly starts from Bali Island. The secondly option of Komodo tours is starts from Jakarta. Because there are some flight a day operate from Bali Island and 1 flight from Jakarta to Labuan Bajo, west part of Flores Island. Komodo tours also can started from other islands or places in Indonesia but flights should transit in Bali Island. Together with Komodo tours here,you can't do without Flores Island because all the flight should go through Flores Island. Komodo tours should go through Labuan Bajo town firstly then make daily trip or live aboard to the islands of Komodo national park. This is the reason why we always make combine tours for both of the tourist destination. But it's depending on your plan. Because we can either only Komodo tours or tours on Flores Island. Not only Flores Komodo tours but also other place near around. For further travel information, please reach us by send an email. Because we are here to serve all clients or tourist who want to make tours to Komodo National Park and Flores Island. Hope our services can make you satisfaction. But please make sure with our team about clear information before make a deal. We are happy as long as you make clear information before do with us. Our goal is not only for field but also since communication is making. Find here to find contact emails or complete tour packages. Flores Komodo tours are combining the tour packages of Flores Island and Komodo national park. We arrange all kind of tours to Komodo national park and Flores Island. However, Flores Komodo tours will starts from Bali Island or Jakarta. Here, you will find collection of Flores Komodo tour packages. All tour packages is designing according to local condition. As local peoples, we of course have deepest experience about both of destination. The routes, programs, itineraries, price and schedule are all in our holding. On Flores Komodo tours here, we organize tour packages starts from east and ending in west part. It’s our local experience as far as run our tours. Maybe some question is coming. Why do program starts from east to west? As long as our experience those travelers need to get relaxing after long driving. Since topography is mountainous and hilly, so our road most in windy and cliff. Time to get relax is on the boat trip to the islands of Komodo national park. Trip to Komodo national park with boat will give you time go on relax. Combine to do snorkeling, swimming or sun bathing will also make different inspiration after overland. We give many options on Flores Komodo tours in our tour packages. So you can select which one prefers for you. It is depending on your time, budget or plan. We arrange Flores Komodo tour packages from 5 to 8 days to visit Flores Island and Komodo national park. We use air condition car either for individual or group during overland tour. Our drivers have experience for drive tourist since 1990. It is challenge driving but drivers know how drive well without risk. Some part of the road still stony and bumpy so will make driving in adventure. Flores Komodo tours are greatest adventure in Indonesia. However, The focus of program is Flores Island tours and Komodo tours. Combining between overland and boat cruise to Komodo national park is making different experience on your holidays. Visitors will enjoy the nature, culture, tradition, Komodo Dragons, wild life, wonder of corals and fishes. Meals can get everywhere on the island. Restaurants available every town where serve Indonesian food, European or Chinese food. In our Flores Komodo tour packages, travelers can choose own food during a tour. So, we just reserve to keep our booking but menu will by your own. While during tour to Komodo national park, meals is on board. Our chef will cook on time before meals time. Accommodation on Flores Komodo tours is best selecting each destination. Although non star hotel beyond Labuan Bajo town but all use standard facilities are using. Accommodation on boat trip is cabin for live board. While for daily trip will use deck boat because not need to sleep. Cabin with air condition need to request since all our offers quoted by cabin non AC. Boat with AC is limited in Labuan Bajo town. Early confirmation really need especially on high season. In addition that, if you want get comfortable trip, you need to book early since hotels or boat trip limited. Especially on high season on July and August very difficult to cover when you make late confirmation. Finally, if you have a question please ask via email. We always give prompt respond as long as you send an email. We appreciate if your make clear all information before make deal with our Travel company. So, you don’t have misunderstanding along tour is going. Here, we present all the tour and Travel packages from the island of; Flores, Komodo national park and other island of Indonesia to make ease for visitor about destination, program, duration and route of tours and Travel. Accommodation, transportation and meals will be shown when we know what kind of tour and Travel packages is taken by visitor on request. We have two main tour and travel packages that we offers here is: Komodo tour packages and Flores Komodo tour packages including Eco tours. Komodo tour and travel package is focused for all kind of tours to the island of Komodo national park including snorkeling or diving while Flores Komodo tour and travel packages are combined between the island of Flores and Komodo national park that we recommend started from east part of Flores and ending in west part after explore the national park. Although our operation focused to the main destination in Indonesia as our home of tourism industry but we offers many kind of tour and travel packages to other islands beyond the island of Flores and Komodo national park to cover of demand in tourism business operated either directly by our company or our travel partners each region in our country. The tour package is showing high light of Flores island and Komodo national park where visitor will take long driving every day from starting point in Maumere town, east part until Labuan Bajo town west part of Flores island. This tour package is suitable for visitors have limited time of holidays and not matter with long driving every day. Upon arrival at Frans Seda – Maumere airport, meeting service with our guide then drive to Moni is a small village lies on the slope of Kelimutu Lake. Some stops will be made at Jopu, a traditional house of Ende lioness tribe with unique construction interior and exterior. Drive up to Moni village for you accommodation. Dinner will be served at your hotel. Early morning drive up to the top of Kelimutu Lake, to see wonderful three colored lake. If the weather permitted, you will see sunrise from top of mountain. Drive down to Moni for getting breakfast. After, drive long way to Bajawa town. Some stopping will be made at Nua Bosi to enjoy the landscape of Ende town and crater of mount Iya. Continue drive to Nanga Penda to see blue stone beach then continue to Nage Keo village to traditional house with its unique construction and see grand buffaloes horn. Drive to Wogo, to see traditional village and hand weaving called IKAT by local language. Drive to Bajawa for your accommodation. Dinner will be served at local restaurant. Get breakfast at your hotel then drive to south part of Bajawa town to see Bena the biggest traditional house in Flores Island with their megalithic stones and hand weaving. Drive back to Bajawa then to Aimere district. This is the place where local people are making local alcoholic drinking called ARAK by local language. Continue drive to Ruteng to get your lunch. After lunch drive to Labuan Bajo (west part of Flores Island). Stops will be made at Cara Village to see spider web rice field and Lembor distric to the biggest rice field irrigation in our province and Spider web rice field. Arrive in Labuan Bajo direct check in at your preference hotel. Dinner will be served at your hotel or local restaurant. After breakfast on the boat depart to Rinca Island about 40 minutes. Arrive Loh Buaya at Rinca island direct check in at Komodo national park then start to trek to see Komodo Dragons on their pure environment with some wild life such as; Buffaloes, horses, deer, monkey, wild board and some kind of birds. Back to boat then depart to Bidadari Island for snorkeling, swimming, or sun bathing on clear water with wonderful and colorful corals and fishes. Depart to harbor then drive to your hotel for your accommodation. Dinner will be served at your hotel or local restaurant. Price in Rupiah: 7.900.000,-…IDR per person. The price quoted per person minimum 2 peoples for 1 time departure. Flores Komodo tour 5D/4N is shortest tour packages to visit Flores Island and Rinca Island at Komodo national park. On Flores Komodo tour 5D/4N is suit for travelers who have not enough time on holidays. Probably you don’t see in details but highlight objects will see. Long driving every day will become of you, as the consequently. Although drive with windy road, cliffs and narrow but our drivers have well experience to drive on our land. Since our topography is mountainous and hilly all over the land, implicate to winding road. It’s strange but you get great landscape during in driving along the way on Flores Komodo tour. In addition that, if you want get comfortable trip, you need to make early confirmation. Since the every hotel is limited room. Early confirmation is very important to make especially on high season. Sometime, we cancel the trip as long as travelers make very late confirmation. Finally, any request about Flores Komodo tour 5D/4N, please reach us. We give appreciation for travelers who make clear information before make a deal, so we don’t get misunderstanding. In conclusion that your satisfaction is our goal, we do on our tourism business. Price charge per person quotes as long as minimum 2 peoples for once departure. Upon arrival at Frans Seda airport of Maumere town, you will meet with our tour guide. Then drive to Moni is a small village lies on the slope of Kelimutu Lake. Some stops will make at Jopu, is a traditional house of Ende lioness tribe. It’s unique construction house either interior or exterior. Here also, you can buy hand weaving cloth directly to local women. Drive up to Moni village for you accommodation and dinner at your hotel. Early morning drive up to the top of Kelimutu Lake, to see wonderful three colored lake. As long as the weather is permit, so you will see sunrise from top of mountain. Make great pictures or enjoy the mysterious of the three craters. Then walk down to get the parking area. Drive down to Moni for getting breakfast. Today from here, you will drive long way to Bajawa town. Some stopping will make at Nua Bosi to enjoy the landscape of Ende town and crater of mount Iya. Continue drive to Nanga Penda to see blue stones beach along 5 kilometers. Next, drive you to Nage Keo village to traditional house with its unique construction either exterior or interior. Here also, you will see see grand buffaloes horn. Drive you to Wogo, to see traditional village and hand weaving call ‘IKAT’ by local language. Drive to Bajawa for your accommodation. Dinner will serve at local restaurant. Get breakfast at hotel then drive you to south part of Bajawa town to see Bena traditional village. 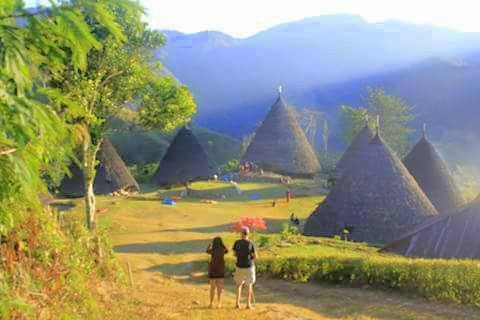 Bena is the biggest traditional village in Flores Island. You will see the unique construction either interior or exterior. Another interesting is their megalith stones and hand weaving. Drive to Aimere district through Bajawa town. This is the place where local peoples are making “ARAK”. ARAK is local alcoholic drinking made from palm trees. Continue drive to Ruteng town. Lunch can get in Borong or Ruteng town. Stops will be made at Cara village to see spider web rice field call ‘LINGKO’. Stop at Lembor district to see the biggest rice field irrigation in our province and also spider web rice field. Arrive in Labuan Bajo town, you get check in at hotel. Dinner will be serving at your hotel or local restaurant. After breakfast on the boat depart to Rinca Island about less or more than 2 hours. Arrive at Loh Buaya on Rinca island, you get check in at the office of Komodo national park. Here, is the place for you to see Komodo Dragons and wild life on their pure environment. As long as you are lucky, you will see some wild life. Probably you see; buffaloes, horses, deer, monkey, wild board and some kind of birds. Back to boat then depart to Bidadari Island for snorkeling, swimming, or sun bathing. Depart to harbor then drive to hotel for your accommodation. Dinner will serve at your hotel or local restaurant. Make a sightseeing to visit local market to see local peoples are selling or buying their products. Drive to Batu Cermin cave to see stalactites, stalagmites and some of dry corals. After explore then transfer you to airport for your flight to Bali or next destination. Price in Rupiah: 7.900.000,-…IDR per person. The price is quotes per person as long as minimum 2 peoples for joining the trip. Komodo is the name of Dragons Indonesia that still survive at Komodo national park in Indonesia with more than 2500 Komodo Dragons living on the island of: Komodo, Rinca, Padar, Gili Motang, Nusa Kode and Wae Wu'ul on western tip of Flores island. Komodo Dragons/Varanus Komodoensis is reptile estimated the latest generation of Dinosaurs from million years ago. Komodo Dragons are living in their natural habitats on the islands at Komodo national park and some part of Flores island in Indonesia that the only place of the world can be found. copyright @2016 by www.ematour.com Flores Komodo Tours and Travel Indonesia, all rights reserved . Travel theme. Powered by Blogger.